Since Veterans Day falls on Sunday, it’s also observed on Monday, Nov. 12, as a day off for many. So as you make your plans, pay attention to the date the discount or deal is being offered. Also, some are not limited to this weekend. Discounts and freebies are plentiful, and we’ve collected some to get you started. We know that military discounts are not what Veterans Day is really about; most of these businesses say it’s just their way of offering a small token of their appreciation of your service. Remember that “free" isn’t always completely free. The free meal doesn’t always include a beverage, for instance, so be prepared to pay for that and other extras. Always call ahead to your local restaurant or business to make sure they’re participating in any national programs. Double-check what they’re offering, and ask if there are limited hours or quantities. Always confirm what proof of service they require. Most of these offers apply to service members past and present, not just those currently serving on active duty ... but not all offers. Be sure you are eligible and you have the required identification or paperwork. Most restaurant deals are dine-in only. When you arrive, let your server or host know up front that you want the discount or deal. Many discounts don’t apply to the entire party. Be sure to clarify whether family members or guests are covered. Applebee’s: Get a free, full-size entrée from a special menu with eight selections, on Nov. 11 at participating restaurants. Active duty and other veterans are eligible, with proof of service such as military ID, DD-214, membership card from a veterans organization, etc. The restaurant chain’s goal is to serve 1 million free meals to veterans. Buffalo Wild Wings: Get one small order of Traditional or Boneless Wings and a side of fries on Nov. 11 at participating restaurants. Dine-in only. Active duty and other veterans are eligible, with military ID or other proof of service such as DD-214, veteran’s card, photo of self in uniform, or wearing uniform. Chipotle: Buy one, get one free from open to close on Nov. 11. The offer applies to burritos, bowls, salads and taco orders. Active duty, Guard and Reserve members, military spouses and retirees are eligible, with valid ID. Limit one free menu item per military ID. 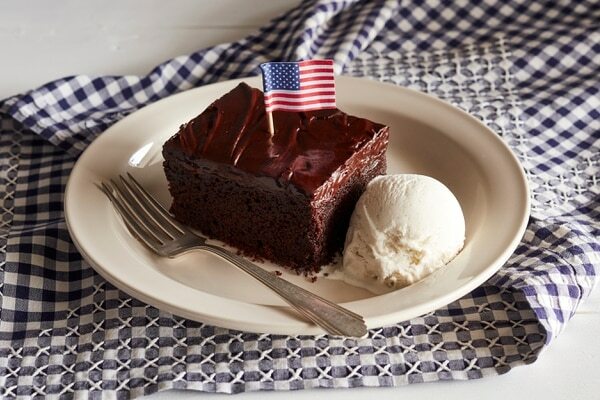 Cracker Barrel Old Country Store: Get a choice of a free slice of Double Chocolate Fudge Coca-Cola Cake or a Crafted Coffee beverage on Nov. 11. Active duty and other veterans are eligible. Denny’s: Get a free Build Your Own Grand Slam from 5 a.m. to noon, Nov. 12, at participating restaurants. Eligible are active, Guard and Reserve, retirees and other veterans. Must show military ID or DD-214. Dunkin' Donuts: Get one free doughnut at participating restaurants, on Sunday, Nov. 11. Active duty and other veterans are eligible. Fatz Southern Kitchen: Free Calabash Chicken basket on Monday, Nov. 12. Also, 25 percent off the entrée on each visit to Fatz through Nov. 30. Active duty and other veterans are eligible, with proof of service. Fatz operates 38 restaurants in North Carolina, South Carolina, Georgia, Tennessee and Virginia, and they’ll be open from 11 a.m. to 11 p.m. on Nov. 12. Golden Corral: Get a free dinner buffet with beverage from 5 p.m. to 9 p.m. on Monday, Nov. 12. Available to active duty, Guard and Reserve members, retirees and other veterans. Identification is not required. Houlihan’s: Get a free entree from a special menu of eight choices, on Nov. 11. Active duty and other veterans are eligible with proof of service: in uniform, active or retired ID, current Leave and Earnings Statement (LES), veterans organization card, photograph in uniform, citation or commendation. Houlihan’s also offers a 15 percent military discount every day of the year. Kolache Factory: Get a free kolache and a free coffee on Nov. 11. Active duty and other veterans are eligible with a government-issued military photo ID. Little Caesars: Get a free $5 Hot-N-Ready Lunch combo, which includes four slices of pizza, with a 20-ounce drink, from 11 a.m. to 2 p.m. on Veterans Day, Nov. 11. Active duty and other veterans are eligible, with proof of service such as military ID, DD-214 or an ID card with veteran designation. On The Border Mexican Grill & Cantina: Get a free “Create Your Own Combo 2,” from a variety of menu choices at participating restaurants, on Nov. 11. Active duty, retired and other veterans are eligible with military ID or proof of service. Red Lobster: Get a free appetizer (six choices) or dessert (five choices) from a special menu on Sunday, Nov. 11 and Monday, Nov. 12. Active duty, Guard and Reserve and other veterans are eligible with proof of service. Scooter’s Coffee: Get a free drink, any size, on Nov. 11. Currently serving military personnel and other veterans are eligible, with proof of service. Sheetz: Get a free six-inch turkey sub and a regular size fountain drink on Nov. 11. Locations offering car washes will also provide a free car wash. Active duty and other veterans are eligible with military ID or other proof of service. Starbucks: Get a free tall brewed coffee on Nov. 11, Active duty and other veterans, and military spouses are eligible. SweetFrog Premium Frozen Yogurt: Get a free 12-ounce frozen yogurt on Nov. 11. Active duty and other veterans are eligible, with a military ID. Tijuana Flats: Get a free entree and a free fountain drink on Nov. 11. Available dining in or for take-out. “Veterans with a valid military ID” are eligible. TooJay’s: Get a free entree from a special menu featuring 13 different items on Nov. 11. Active duty and other veterans are eligible. TooJay’s restaurants are in various Florida locations. White Castle: Get a free Combo Meal on Nov. 11 and Nov. 12. Currently serving members and other veterans are eligible; available at dine-in or drive-through. City of Buena Park, California: Get discounts on attractions, hotels and meals during November and December at a variety of locations in this city, which is near Disneyland, The Queen Mary, and others. Details on specific deals and eligibility rules are available here, for places like Knott’s Berry Farm amusement park, Pirate’s Dinner Adventure dinner show, Medieval Times, and Bowers Museum. Globus: Save 10 percent on select Globus 2019 North America Tours, plus an extra $100 off per person, if booked by Nov. 16. Active and retired military personnel are eligible, with verification through Sheer ID. LEGOLAND Florida Resort: Get free admission, free parking, and hotel discounts, during the month of November. In addition, those eligible can purchase theme park tickets for up to six guests at a 50 percent discount. Those eligible are active duty and other veterans. Proof of service is required at the ticket window on the day of visit. Those eligible can save up to 25 percent at the Florida LEGOLAND Resort on certain dates during November. Proof of service required at check-in. National Corvette Museum: Throughout November, get free admission to the museum, in Bowling Green, Kentucky. Veterans as well as police and firefighters are eligible, as well as their accompanying family members. Show proof of service at the admissions counter. 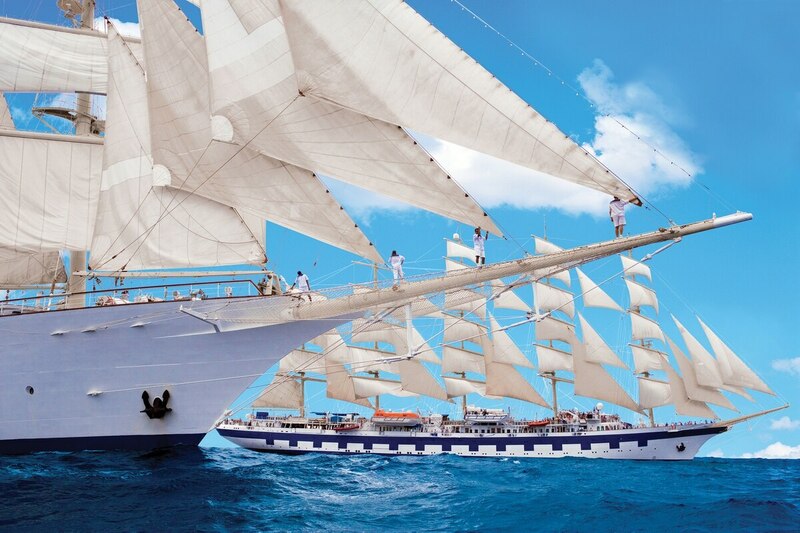 Star Clippers: Get an additional 15 percent discount on any sailing on this small cruise line of tall ships, for new reservations made between now and Nov. 30. Offer is in addition to other discounts for military, and can be used in combination with other offers. Currently serving military personnel, retirees and other veterans and their families are eligible. Vet Tix: Get tickets to sporting events, concerts, performing arts, educational and family activities across the nation, year-round. A small delivery fee is required to receive the free tickets. All currently serving military, veterans, and their family members, and immediate family members of troops killed in action are eligible for tickets through this nonprofit organization. A family of four gets a discount of $45 a month on wireless plans. Hyatt: Get a discounted rate of between 10 and 15 percent off the stay at any participating Hyatt-branded hotel in the U.S., with offer code MILVET*. This new offer is in effect indefinitely. Active duty and other veterans and their immediate family members are eligible. Guests must make their reservation here or through a Global Contract Center, and indicate their intention to book using the veteran and military rate. At check-in, proof of service is required, such as a valid ID or DD-214. Kentucky State Parks: Discounted rates on lodge rooms and cottages at 17 resort parks, plus cottages at John James Audubon State Park, through March 31, 2019. Active duty, Guard and Reserve and other veterans are eligible with proof of service at check-in. Rates start at $59.95 for a lodge room, and start at $99.95 for a three-bedroom cottage. Click here for the winter schedule of the parks. Use promo code USA when booking online. If booking by phone, mention the USA military discount to receive special rate. Super 8 by Wyndham: Get a 20 percent discount at participating Super 8 hotels in the U.S. and Canada, through Dec. 11. Active duty, retired and other veterans are eligible. Military identification must be provided at time of check-in. Buckle.com: Get 10 percent off purchases all year, plus free shipping Nov. 5 through Nov. 20 on jeans, shirts and footwear. Active duty, retirees and other veterans and immediate family members eligible; verification through SheerID. Eaze, Get a 25 percent discount on cannabis products, through this program that starts Nov. 11. Email proof of veteran status to veterans@eaze.com, such as photos of veterans identification cards, veterans health identification card, state issue driver’s license or ID card with veteran designation. It’s illegal for currently serving military members to use cannabis, regardless of state law. Eyemart Express: Get a 20 percent discount on eyewear purchase at any Eyemart Express, Vision4Less, Visionmart Express or Eyewear Express store, through Nov. 17. Active duty and other veterans and their families are eligible, with proof of service. Goodyear Auto Service and Just Tires: Get 10 percent off tires (Goodyear, Kelly or Dunlop brands), Nov. 9 through Nov. 11. Also free “checks for vets” of tires, brakes and batteries. Tires must be purchased Nov 9 through Nov. 11 and installed before Nov. 16. Active duty, retired and other veterans are eligible with a valid ID or other proof of service. Grand Trunk: Get a 30 percent discount off entire web site, discount available for life after registration. Those eligible are active, Guard and Reserve members, retirees and other veterans. The retailer sells a variety of items such as hammocks, travel items, and holiday items. Helzberg Diamonds: Get one-time 10 percent discount in store or online or at 800-435-9237. Eligible are active duty, retirees, disabled veterans and dependents. Verification through SheerID. Holt’s Cigar Co. : Get a 10 percent discount through this continuing program, online and by phone, 800-523-1641. Those eligible are active duty, Guard and Reserve, retirees and other veterans. Verification through SheerID. ID.me: A number of online retailers working with ID.me have increased their military discounts around Veterans Day. Those include Lenovo, YETI, Ray-Ban, Ford, Academy Sports, Under Armour, Saucony, Hanes, Glasses.com, Shinola, Hylete, Bates, Brooklyn Bedding, ContactsDirect, Sennheiser, JR Cigar, Swanson Health, Enso Rings, iRobot and Chubbies. Retailers associated with ID.me also feature a number of military offers available year-round. On https://shop.id.me/military, click on the retailer’s section to shop. The retailer verifies your eligibility for the discount through ID.me. Lowe’s: The first 100 customers (not just veterans) will receive a free full-size American flag, but a purchase is required. Lowe’s offers a year-round 10 percent military discount. Ocean State Job Lot : Get a 25 percent discount on most products in these discount retail stores, from Nov. 8 through Nov. 14. All active duty, Guard and Reserve members, and other veterans and their family members are eligible, with proof of service such as an ID card or state-issued license with military or veteran designation. The retail chain has 131 stores in New England, New York and New Jersey, with everything from clothing, baking supplies and bird food to rugs. Sears Garage Doors: Get a 10 percent discount on any product or service from Nov. 9 through Nov. 12. Available to those with valid ID. Target: Get a 10 percent discount on purchases in store and online at Target from now through Nov. 12. Click here to verify eligibility and get your coupon. Tommy Hilfiger: Get a 15 percent discount year-round. Active duty, Guard, Reserve, military spouses, retirees and other veterans are eligible. Verification through SheerID. Tractor Supply Company: Get a 15 percent discount of entire purchase on Nov. 11. Active duty and other veterans, with military ID or proof of service, and their dependents are eligible. The company has more than 1,750 locations nationwide, offering a variety of products for caring for home, land, pets and animals. 24 Hour Fitness: Get free workouts and and classes on Nov. 11. Active duty and retired members are eligible. Present ID at check-in. American Family Care: Get a free flu shot on Nov. 11. Available to veterans with proof of service. Ancestry.com: Through Nov. 12, the collection of more than 250 million military records will be available for free to the public, not just Ancestry members. The collection includes draft cards, service records and prisoner and casualty lists. Cape May-Lewes Ferry: Get free passenger round-trip same-day travel, as well as a free cup of coffee or soda and 11 percent off any food or retail purchases aboard the ferry, and at either terminal, on Nov. 11. Military personnel and other veterans are eligible with identification. SmileDirectClub: Get $200 off a purchase of an invisible aligner, Nov. 9 through Nov. 12. Available to active duty and other veterans with proof of service. Visit one of their 150 SmileShop locations around the country. Word Among Us: Two years of digital subscription of readings and meditations, free for active duty, $9.99 for Guard, Reserve and veterans (80 percent discount.) Verification through SheerID. We’ll update the list during the week; if we’re missing your business, email kjowers@militarytimes.com with your discount details.